We find them- you catch them! Fish Montague Island and surrounding reefs or out to the shelf. This is one of the best fishing destinations in South Eastern Australia and provides good catches of Snapper, Morwong, Wrasse, Leatherjacket, Trevally, Flathead, Bonito and Kingfish all year around. The size of catches drops off a bit from June to November but winters here are so mild it is a great place to get out on the water, dangle a line and realize that hibernation is not necessary. The beauty of fishing at Narooma is that it is so close to Montague Island , about a 20 minute run in our boat, and then you are half way to the shelf. More fishing time – less travel time! We have a large live bait tank and provide quality and well maintained fishing equipment including Penn International reels on custom short stroker rods for the game fishing. 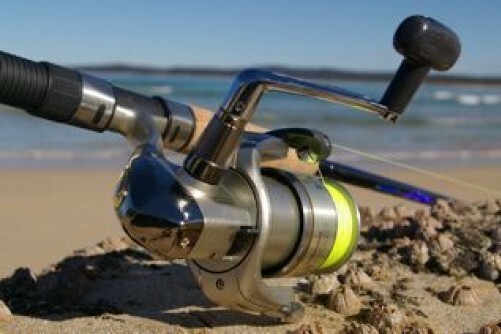 Penn 320’s on Hawk Strikers for the reef fishing. All tackle is supplied (on a replace if lost basis) Our state of the art fish finder maximises your chances of a productive trip! 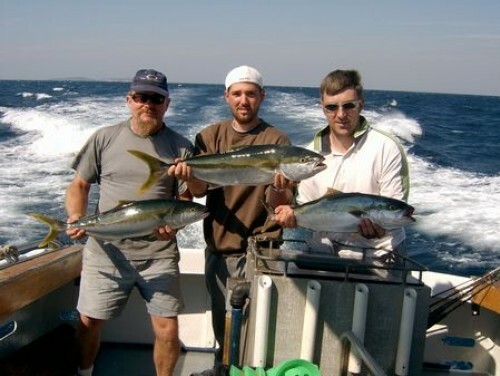 April til June is the main gamefishing season here when we mostly target Yellowfin Tuna and Albacore. Striped and Black Marlin are targeted from December through till June, usually out at the shelf but the odd one is caught right in at the island. 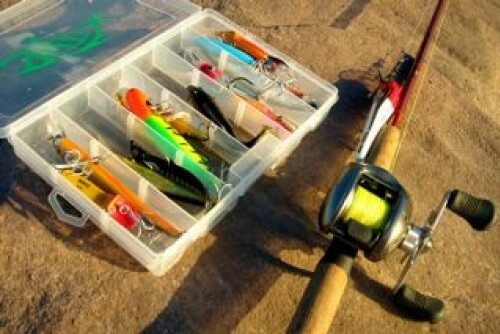 We promote tag and release game fishing. You keep the fish you catch – providing they are of legal size and don’t exceed the bag limits set by NSW Fisheries dept. All ages and abilities are catered for with as much or as little tuition as you want. 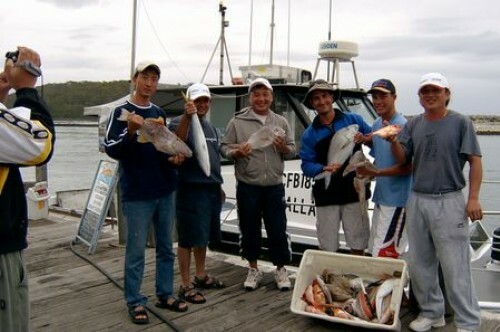 We also Diving & Snorkelling, whale watching, and sightseeing trips around Narooma and Montague Island. Inclusions: We provide all bait, rods, tackle and fishing licenses (rods and more expensive game lures are used on a replacement if lost basis). Tea/Coffee and soft drink. Martin and Kathie Thackray took over Island Charters Narooma in March 1999 and feel it was the best decision ever made. During the previous 12 years Martin had been continuously involved in the Sea Rescue as well as being a keen diver, fisherman and whale spotter. Martin will be your skipper and Kathie will assist you with bookings. We both love meeting people, especially those enjoying themselves. It might be your first time at game fishing or you might be a seasoned veteran. Perhaps you are planning your first trip out to sea or you might travel the world seeking out the best dive sites. Whatever your boating experience, our goal is to see you have fun! “DALLAS” is a 10.2m Savage fibreglass charter vessel. The MSB survey allows for twelve passengers plus crew. The vessel can operate up to 50kms offshore and all along the NSW coast. Powered by Twin Turbo Diesel engines rated at 210 hp each, the vessel has plenty of power when there is a need to get home in a hurry or to get out to the whales or fishing spot without delay.